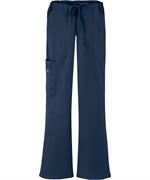 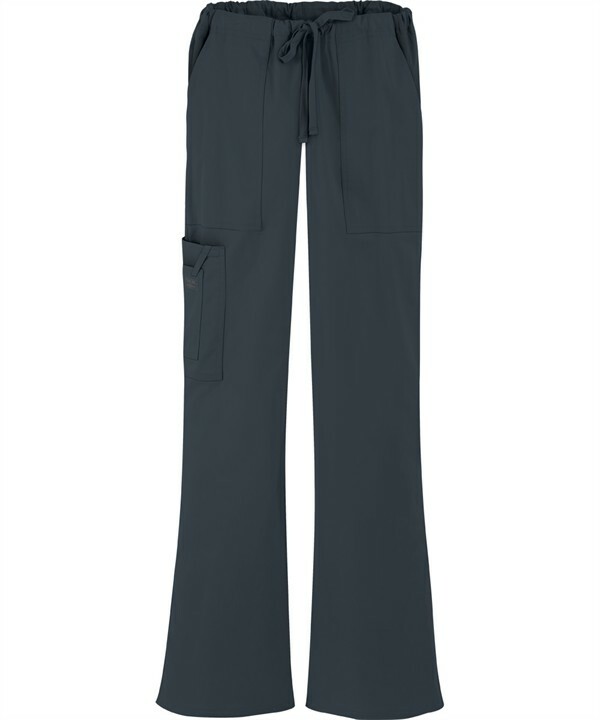 A luxurious economy scrub pant! 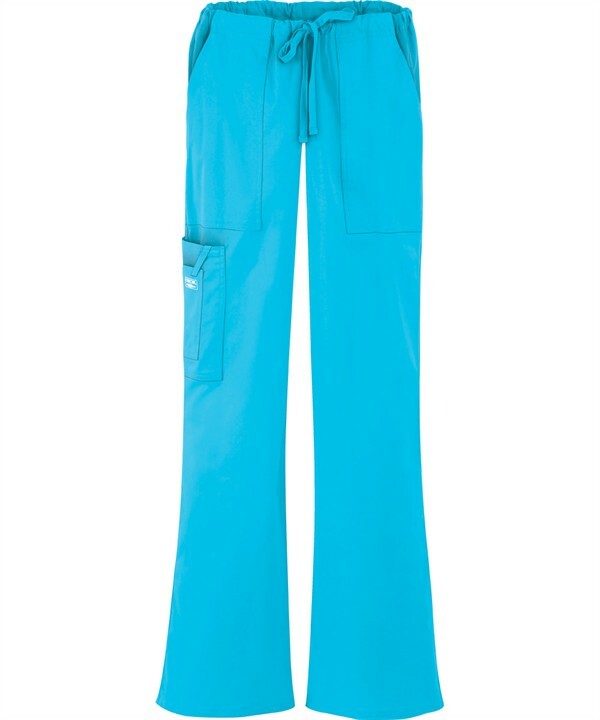 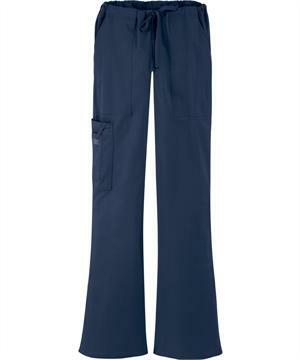 A moderate flare leg, elastic and drawstring waisted pant with front patch pockets, right side cargo pockets with an extra instrument/cell phone pocket and I.D. 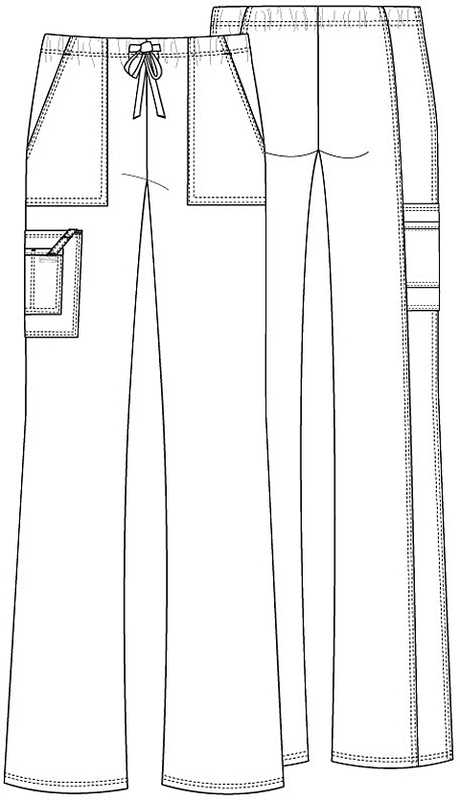 loop and a back leg seam. 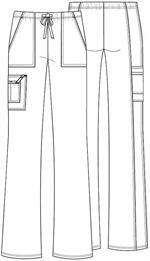 Inseam is 31". 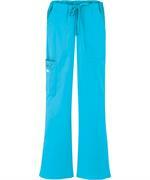 Made of 55% Cotton, 42% Polyester, 3% Spandex.